Are you afraid of heights? You can still have an amazing experience on a hot air balloon. Click here to learn how you can ride a balloon with a fear of heights. 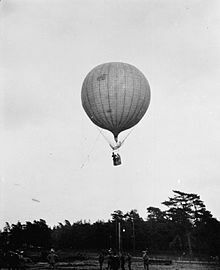 Hot air balloons have been around for over 200 years. Originating in France, hot air balloons have been used for entertainment, romantic rides, and even trips around the world! Not only are they useful, but they fill the sky with color, patterns, and pictures. But what if you want to take a hot air balloon ride, but are afraid of heights? Would a hot air balloon be too much for you? Is there a way to enjoy all the incredible benefits of a balloon ride without much fear? You’ll be pleased to know there are ways for you to gain confidence and tackle or manage your fear of heights before stepping into the balloon basket. Let’s discuss some of those so you can have a balloon ride free of fear. Acrophobia is a term professional therapists use to describe someone who has a fear of heights. This isn’t just a small worry or concern. It’s a phobia that interferes with the person’s daily lifestyle. The word phobia is derived from the Greek word, ‘phobos’ which means fear. Acrophobia is a very common phobia affecting over 7% of people. It should not be confused with the fear of falling, which is basophobia. A person that suffers from acrophobia may be afraid to walk up hills, take elevators, ride roller coasters, or do anything that involved being up high. Or it may be impossible to be up in a building or tall tower or driving over a bridge. This is not an exhaustive list of symptoms, though people with acrophobia tend to experience several at once. Sometimes symptoms of acrophobia will be similar to a condition called vertigo. People with vertigo suffer from extreme dizziness or spinning, which is separate from acrophobia. When treating acrophobia, the best course of action is usually cognitive behavior therapy or CBT. With CBT the person works on changing their minds about their fears by using behavioral methods to shift their thinking and techniques on how to deal with their fear in a healthy way. Another treatment option is to face the fear, in this case being someplace high, or there’s thought that virtual reality could be an option. Why Might I Not be Afraid in a Hot Air Balloon? Much of acrophobia has to do with how your brain measures distance and your reaction to it. Pretend you’re in a high building and you look down. Your brain begins to measure distance as it sees objects becoming smaller in a vertical sense. This is when you begin to feel afraid. In a hot air balloon ride, however, there’s no focal point of distance for your brain to comprehend, only horizontal vastness. All your brain sees is a continual view of landscape, fields, homes, mountain ranges, or other objects. It’s normal to feel nervous especially the first time, but those nerves can be managed! Why Take a Hot Air Balloon Ride? For those that suffer from acrophobia, a hot air balloon ride could be the perfect introduction to overcoming the fear of heights. Unlike flying in a plane or taking a ride in an elevator, a hot air balloon ride is gentle. It eases its way with the wind, absent for any jarring or extreme movement. Sometimes you don’t even realize when you lift off! The wind propels the hot air balloon as the pilot manages the burner, so you’re not moving at extreme speeds. This slow motion is perfect for people who need a soft way to overcome acrophobia. In a hot air balloon ride, nothing is expected of you other than enjoying the incredible views. You don’t have to worry about doing anything. Being in a hot air balloon expands your perspective and the results are lasting! If you’re ready to face your fears and step into that basket, be sure to prepare yourself. Here are some tips to get you started. Hot air balloon rides need to be scheduled many weeks or months in advance. Call ahead and find out when is the best time for booking. Scheduling your ride in advance gives you time to prepare yourself for being in the air. Could you practice being in high places so you’re not too afraid when the time comes? Is there a counselor you could talk to learn techniques? Don’t be afraid to use this time well and slowly you’ll become more confident. It’s never advised to face a phobia alone. Having a trusted friend or family member with you will help you with some feelings of fear. They can be there to hold your hand or talk you through a difficult moment. Seek out someone you love and trust and ask them if they’d be willing to help you conquer your fear. If you’ve been implementing tactics to get through your fear, now’s the time to put them into practice! While you’re having your ride, try not to zero in on your fear. Doing so will rob you of the spectacular and scenic view you experience from being above the ground. Yes, you may be nervous once you begin! But take a few moments to breathe deeply and really be in the moment. Most balloon rides last about an hour and seem to go quickly if you’re having fun. Once you’re back on the ground celebrate your accomplishment! Sometimes it takes much to conquer your fear, and you deserve a quick celebration. Ready to Face Your Fear? Being afraid of heights shouldn’t stop you from enjoying a hot air balloon. Hot air balloon rides can be a wonderfully memorable experience like no other. They are freeing and breathtaking, allowing you to gain a perspective you might never have. If you’re serious about taking a hot air balloon ride but are unsure about heights, take some time to think about it and talk it over. You’ll be glad you did!